A Discovery Litigation Services realtime ready minnesota court reporter offers peace of mind, flexibility, reliability, and professionalism at a familiar price. The technology and processes employed work in tandem to streamline a once analog clunky process, to maximize your time and keep you on budget. It’s not just a “tardy” court reporter that will waste your time. Our services are set up to alleviate the bottlenecks and challenges of finding quality professionals on short notice. You don’t have time to find top performing legal professionals every time. You don’t have to let quality suffer as a result. Let us handle it for you. 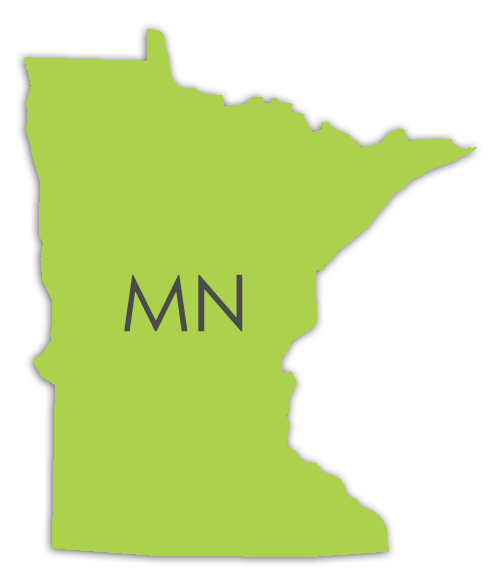 You need a Minnesota court reporter tomorrow?! We have you covered. Our extensive network of realtime ready video streaming enabled court reporters can be anywhere you need at anytime. Discovery Litigation Services’ court reporters are experts in getting it right the first time. With a keen ear and wide ranging understanding of various industries and technical jargon, our court reporters are skilled in facilitating the flow of your deposition. In the event a clarification is required, our over 20 years of experience informs that decision ensuring the interruption is handled in the best way to keep the momentum of the deposition moving forward. Putting our realtime ready Minnesota court reporter on your team is the first step in boosting your efficiency and taking back the hours in your day. A realtime court reporter provides you with an on the spot transcript of the proceedings as it unfolds. Translating from the shorthand of the stenotype into intelligible language on your screen is a powerful time amplifying service. Instantly you are given a first pass transcript of the deposition with 90% accuracy. Without waiting you have something to work with and the final transcript isn’t far behind. The accuracy at which our realtime ready reporters can transcribe makes expedited transcripts a breeze. Our video enabled court reporters makes geography obsolete. Location no longer dictates the quality of the court reporter you can hire. Discovery Litigation Services will provide a highly qualified Minnesota court reporter anywhere you need. Stop settling for whoever is available and get the best for the job with less searching and better results. Our close coordination with your law firm guarantees they receive the service they need to manage your cases effectively. With Discovery Litigation Services’ decades of experience, we are skilled in providing you exactly what you need without extra baggage or bloated services. From straightforward court reporting services to comprehensive deposition and pre trial solutions, we are ready to provide exactly what is right for your case. Our longstanding reputation in the industry affords you the best prices available. With our experience you enjoy the benefits of the Discovery Litigations Services’ rolodex. Discovery’s extensive and long lasting relationships with various eBilling companies will safeguard your back office requirements and makes certain you’re receiving the most competitive pricing. Our transparent pricing to copy side law firms and active monitoring of state by state regulations ensures full compliance with various statutory requirements. Discovery Litigation Services is driven to provide you more. More in terms of quality, more in terms of value, more in terms of services and solutions all while preserving your budget and keeping costs down. We offer comprehensive solutions that will add time back to your day so you can focus attention on what makes the most sense. Your clients expect more at a faster pace and for less money. You know what? No longer is it unreasonable. We have those resources. Don’t just try to keep up with their demands, supercede and over deliver. Put Discovery Litigation Services in your back pocket and be the hero without breaking a sweat. Get started today - Give us a call now! 80 South 8th Street Minneapolis, Minnesota 55402 United States. Minneapolis Court Reporters. Real-Time Court Reporting. Videography. Mediation Services. Interpreters. Trial Presentation Services. Document Review Attorneys. Discovery Corporate Services.